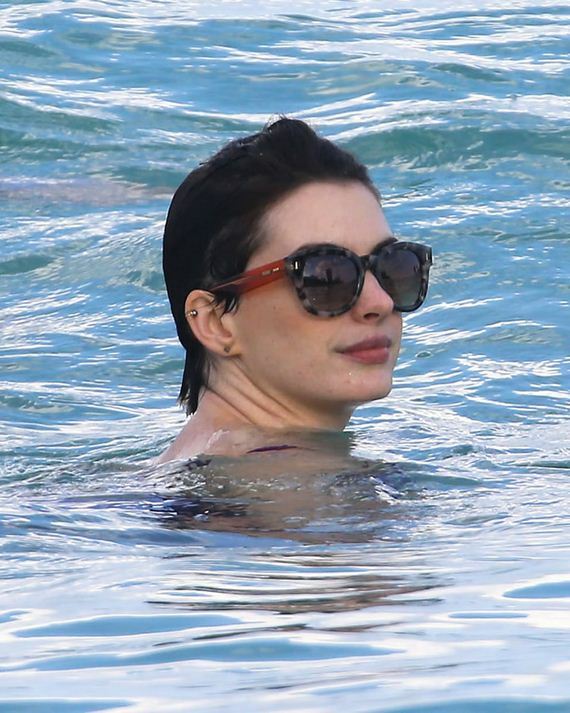 Trying to avoid the attention that comes with wearing a bikini, Anne Hathaway wore shorts and a conservative swimsuit to the beach over the weekend in Miami. Um, it didn’t work. Like, at all. 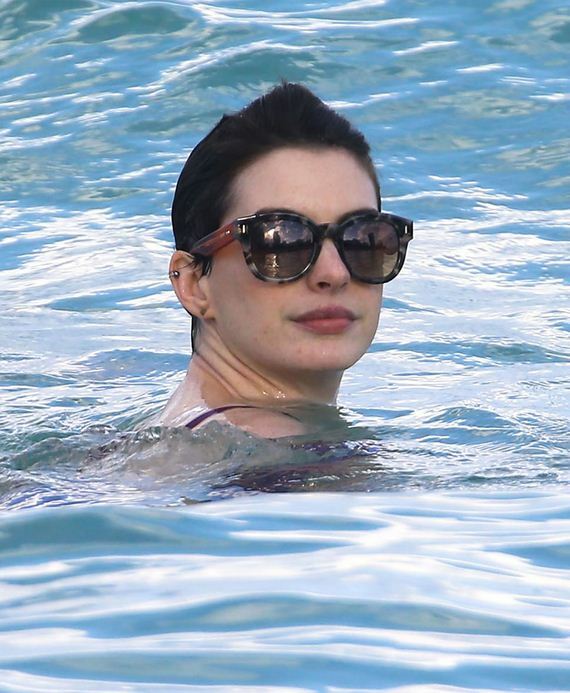 On the bright side, Anne has been granted honorary membership into The International Brotherhood of Glasscutters, Local 319. 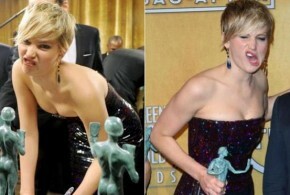 So she’s got that going for her, which is nice.